In a bid to appeal to the segment of Americans who refuse to do anything that doesn’t happen in virtual reality, NBC News has partnered with the company AltspaceVR to create a virtual debate-watching party. 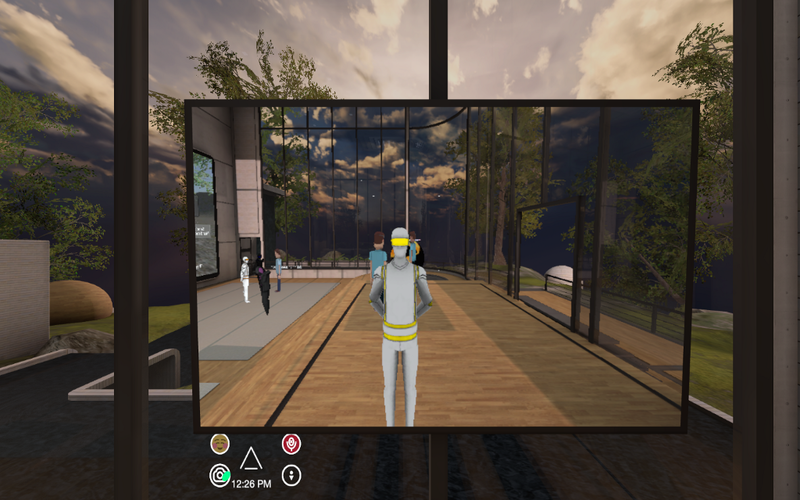 You can join using any of the the three major VR goggle sets — Samsung Gear VR, Oculus Rift, or HTC Vive — or just download AltspaceVR’s program to your computer and watch from a normal screen. Once you sign up, you pick a VR avatar to represent your digital political soul. Some look like cartoonish human Miis, others like sinister robots — I chose a robo-me with politically nonaligned yellow accent stripes, to preserve my journalistic neutrality. 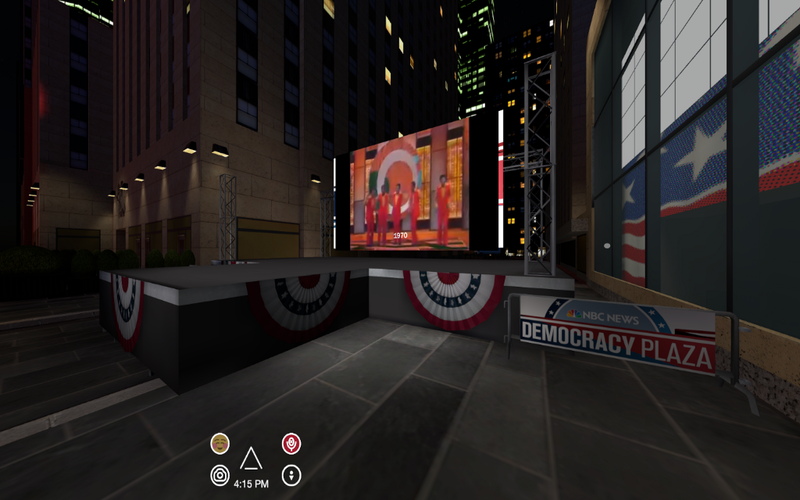 Then, you log into a blocky simulation of NBC’s “Democracy Plaza,” the network’s term for the Rockefeller Center ice rink decorated in full democracy-related regalia. 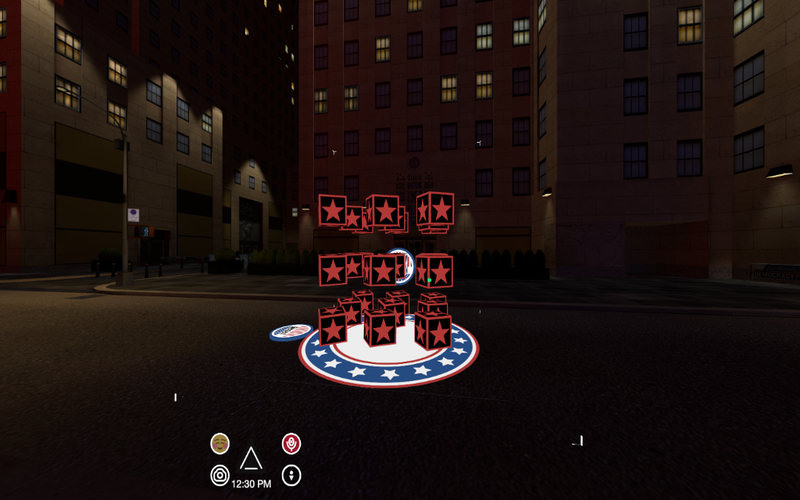 You can either join the Plaza with other strangers VRing the debate from their homes, or create your own virtual watch party in a parallel version of the Plaza and make it public or invite-only for friends. Each user can speak through their avatars, but you have the option of muting anyone who’s getting on your nerves. Avatars can also throw emoji up into the air, to express their feelings. Their faces never change. When I signed in earlier this afternoon, the Democracy Plaza in which I found myself was dark, lit only in patches by the reflected light of the ice rink and the handful of digital stages, American flags fluttering for only me and one other voter/random person on the internet. In the distance, New York City traffic silently flowed past. It felt very much like being in Myst: Election. In the distance, a screen showed a frozen frame from a video of a performance of a Motown group that I believe to be the Temptations, dated 1970. Earlier, there had been Motown music playing in the background, but by the time I approached the screen, it had stopped. 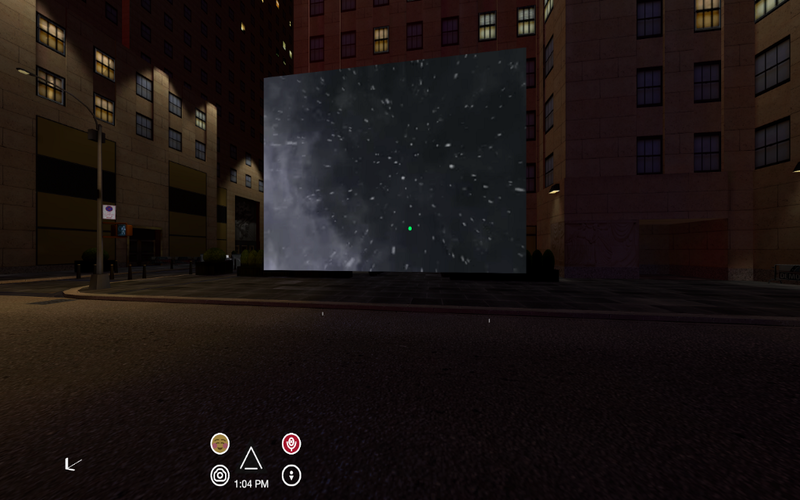 Mysteriously, for a moment, a cube made up of floating cubes appeared on one end of the plaza, with buttons that said “VOTE” and “RESET” on virtual medallions nearby. If I clicked “VOTE” from one side, and then clicked on the smaller cubes, they turned blue. If I did the same from the other side, they turned red. I was engaged in this political activity for no more than five minutes before the Democratic cube array disappeared and was replaced by a screen showing nothing but static. Where did the voting go? Earlier this week, AltspaceVR’s CEO, Eric Romo, told The Verge that he hopes the virtual watch parties will produce a “healthy political discourse.” The idea is that real human voices and real-ish digital avatars will produce a feeling of genuine co-presence (i.e., existing in the same virtual space). Based on the theory that people are nicer in person than they are on anonymous online forums, that could potentially breed some more civil debate-related discussions. We’ll see how well that plays out on the debate stage, both real and virtual, later tonight.